The 52 year-old is happily in love with a longtime friend. Moving to Taiwan in 1989, 52 year-old Hong Kong actor and singer Lam Lei (林利), has starred in numerous classic dramas and is most well-known for his role Long Xiaoyun in The Little Li Flying Dagger <小李飛刀>. Successfully recovering from colorectal cancer last year, he recently shared his joy of a new-found romance on Facebook. In his message, the former Little Tigers (小虎隊) band member wrote simply, “I am finally in love” in a Facebook post. Although he has yet to reveal her looks or identity, Lam mentioned in a previous interview that his partner is a businesswoman in Mainland China. Calling it a divine arrangement, he added that they had been acquainted for over 20 years but have never had romantic feelings. Meeting up after many years recently, sparks had developed between the two and their special chemistry made him feel miraculous. Enjoying their romance, the two do not have marriage plans at the moment. The veteran of 37 years has experienced many highs and lows in the past. 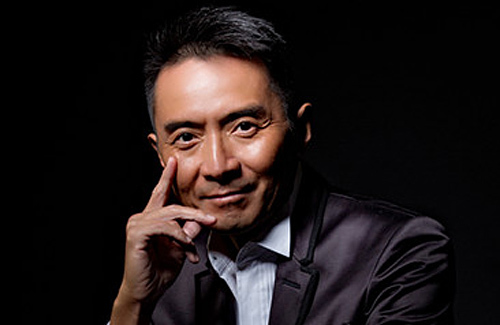 Making his debut in the singing contest co-organized by TVB in 1982, he later became part of Little Tigers. However, career bottlenecks during later years had forced him to take on many other jobs including being a waiter, fitness instructor and tour guide. His romantic life was also far from smooth-sailing. He divorced Taiwanese model Fan Jung Hui (范靜蕙) after a marriage of seven years, later resuming his relationship with his ex-girlfriend Serena. Dating steadily for six years, Serena abruptly left him for a 70 year-old millionaire doctor, whom she later married. Roughly a year later, Lam was diagnosed with colorectal cancer after finding blood in his stools. At the peak of his illness, the 5-feet-eight-inches-tall actor weighed just 132 pounds. He underwent surgery to remove an 11-inch tumor, and resumed his work schedule just five days later, showing up at former Little Tigers bandmate Wiliam Hu’s (胡渭康) concert and filmed dramas. After all that he has encountered, fans are touched that the artiste has finally found happiness in his life, leaving him plenty of well-wishing messages.